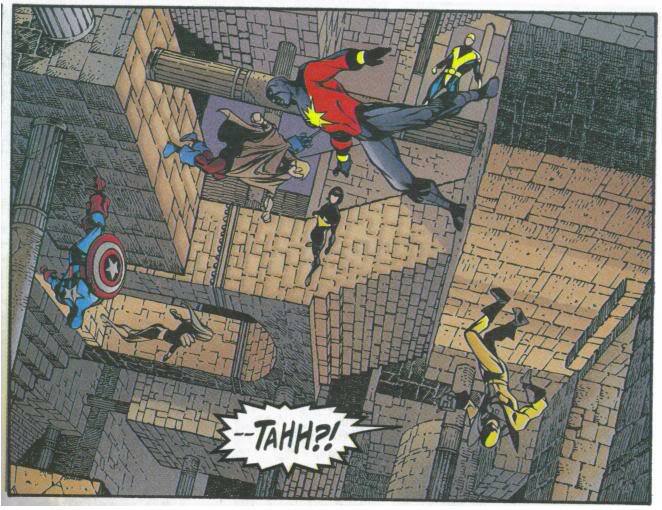 The Marvel comic book Avengers Forever #7 (June 1999) and the 2002 DC Comics book JLA/JSA: Virtue and Vice both feature a number of the story's superheroes finding themselves in a realm with multiple gravity sources assigned to different surfaces, much as in Escher's Relativity. 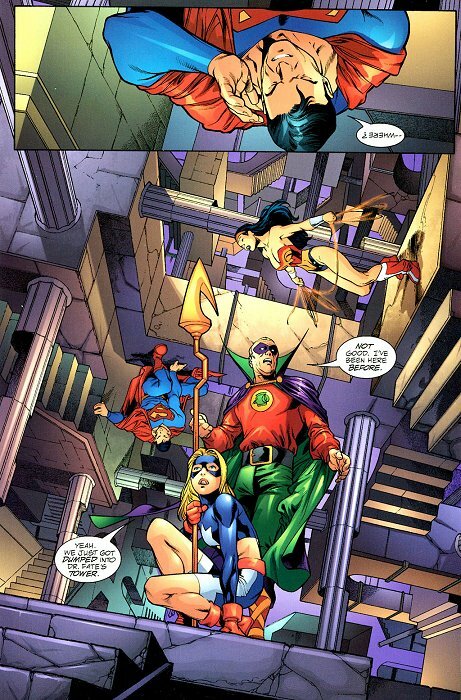 In the former, the heroes almost immediately fall through space the moment they find themselves there. In the latter, they do not. Interestingly, while the books were not written by the same author, both were illustrated by Carlos Pacheco. Carlos Pacheco is an Spanish comic book artist and penciller. He is best known in the United States for his work on titles such as Avengers Forever, X-Men and Green Lantern. He usually works with inker Jesus Merino.